Give Dad’s Car a Shine! *Price Varies Based on Size, Condition and Color of Vehicle. 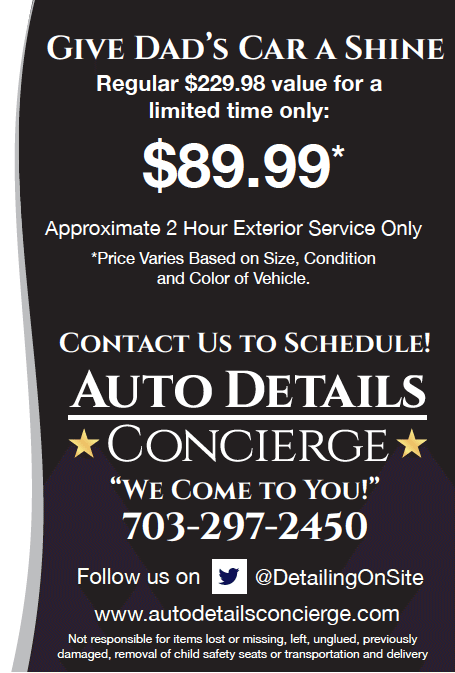 Call us at 703-297-2450 or contact us online and mention the Father’s Day Special.